Dr. Rebecca Barnes is Assistant Professor of Environmental Science at Colorado College. This academic year, she’s using Wiki Education resources to teach with Wikipedia in all of her courses. This is a republishing of her thoughts on the far reaching benefits of such an assignment. Why? In addition to wanting to merge my “non CC” activities into my teaching life, here are two more reasons: to increase students sense of belonging and to pay it forward. 1. Research illustrates that a sense of belonging is critical to success (e.g. Dennehy & Dasgupta 2017 PNAS). Yet our history books and “books” like Wikipedia (the 5th most visited website in the world) reflect a very white, very male centric view on everything – including science and scientists. In fact, less than 18% of biographies on Wikipedia are of women! 2. A college education, teaching college students—these are privileges, a privilege that many do not have. Therefore in an effort to pay it forward, I am asking my students to participate in this project; more deliberately discussing the issues of gender, race, and class in science. By helping document more women in STEM across a broad range of fields, my students have the opportunity to collectively contribute hundreds of biographies to Wikipedia. Plus, several other faculty have already asked if they can participate and I am hopeful that by the end of this academic year it will have extended beyond the STEM disciplines on our campus. 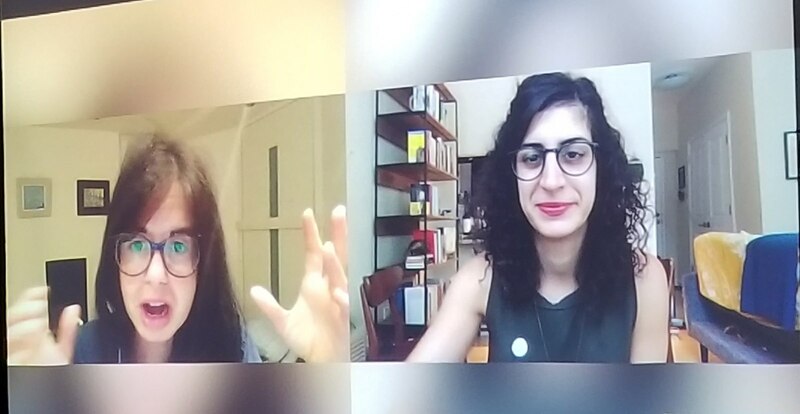 Image: File:Dr. Jess Wade and Dr. Maryam Zaringhalam join a Colorado Class writing biographies of Women in STEM.jpg, Waterbarnes, CC BY-SA 4.0, via Wikimedia Commons. EV211 meets SO301 and my Twitter inspirations. Image: File:Colorado College class teaching with Wikipedia.jpg, Waterbarnes, CC BY-SA 4.0, via Wikimedia Commons. Interested in teaching with Wikipedia? Visit teach.wikiedu.org to get started or reach out to contact@wikiedu.org with questions. This is a republishing of Dr. Barnes’ original post on Colorado College’s platform with the author’s permission.